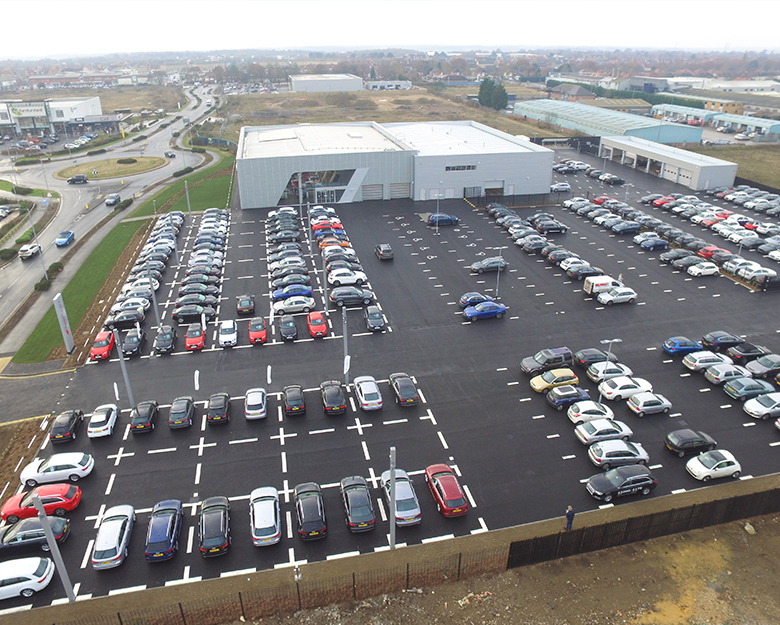 Taydal won the 300k project at Audi Carparks, Future Business Park, Ipswich, led by local contactors Barnes Construction. We were met with strict timescales by Audi’s open day so we had to make sure we met their deadlines. We covered over 10,200m2 in 32mm base and 20mm Open Porous Binder course along with environmentally friendly Ultidrive Porous 10mm Surface Course. We worked to tight deadlines with high flexibility to ensure that the job was completed as quickly and efficiently as possible. The Porous system allow us to decrease negative environmental impacts by allowing water to infiltrate naturally through the tarmac surface. Porous tarmac eliminates the risks of surface water flowing onto public areas which in turn reduces the need for expensive drainage.